Welcome to BOG(Business On Globe), users can get the latest and important business information which is collected from various other websites. Today His Birthday but i hope not all of them know about the great person. Let me tell little about Him, have a idea folks. He was the one who placed the Sun in the center of the Universe, removing Earth from center???? 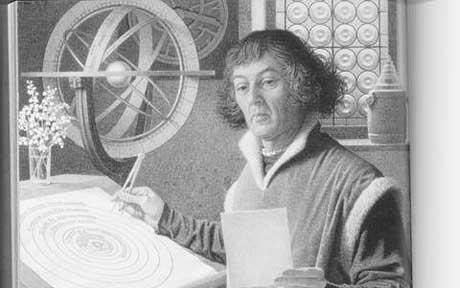 You Don’t believe, yes He was a Renaissance mathematician and astronomer who formulated a heliocentric model which placed the Sun, rather than the Earth, at the center of the universe. He said this with his Publication of Copernicus‘ epochal book, just before his Death. 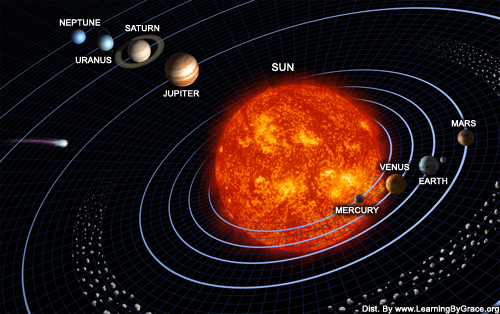 He described the solar system mechanism in mathematical way rather than Aristotelian terms. He was not just a mathematician friends,he was into the following. Here I list the long list. These are the list known to us only! Just i noted the important and highlighted points from wikipedia, Just reading in a crisp stands in memory forever i hope. Yes, He is the World Chess Champion, not one time he won it 5 times!! I hope u know a lot about Viswanathan Anand, but i would like to highlight his achievements please. 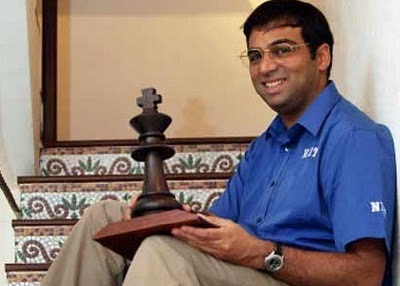 Viswanathan Anand, born on 1969 in Mayiladuthurai, Tamil Nadu. His family moved to Chennai. Anand is 11 years younger than his sister and 13 years younger than his brother. He was taught to play chess by his mother and a close family friend named Deepa Ramakrishnan. Five Time world Chess Champion. FIDE World Rapid Chess Champion in 2003, and is widely considered the strongest rapid player of his generation. He was also the first recipient of the Rajiv Gandhi Khel Ratna Award in 1991–92, India’s highest sporting honour. He was awarded India’s second highest civilian award, the Padma Vibhushan, making him the first sportsperson to receive the award in Indian history. Anand has won the Chess Oscar six times. Wow, really we cant just assume the moves he make, but sure we are going to be in trouble very soon in the Game. Masterclass Anand looks very humble isn’t. A Humble person who initially started his career as a tour operator turns in to the founder of the Great K.P.N Travels. You may be not knowing this greatest personality, yes he is from Tamil Nadu, at a village called at Periyaputhur in Salem district. He is a person who introduced highly sophisticated, and luxury transport to tamil nadu, he is a founder and chairman of K.P.N Travels India. Let me through a little light on him! Kuppanna Goundar Ponmalai Goundar Natarajan (KPN) was born in the year 1949 at village called at Periyaputhur in Salem district. Dr. Natarajan is simple and most unassuming, and he is from an agricultural family. Dr. KPN started his career as a tour operator in 1968 and in 1971, he realized the need for regular bus services between major towns and cities. Thus was born KPN travels in 1972. At the age of 23, he started the first service of KPN Travels between Thirunelveli and Bangalore. Initially he used to travel and sometimes even drove the bus himself. His regular travel on the buses gave him an opportunity to interact with all his customers and get valuable feedback, which helped improve service, facilities and comfort levels in the bus. Customers enjoyed the experience and started preferring KPN buses. It is a fact that KPN was one of the firsts to introduce the latest technologies in buses. Today it has the latest and most modern fleet of buses, including 35 Volvo B7R high-end luxury coaches. Dr. KPN’s sound management and pioneering ideas on fleet standardization, bus route review and employee training provided a strong base for growth. We are going to see about Mr Sivanesan, President of Premier who developed his company from scrap to Exporting to most of all countries.he Struggle of the Successful Sivanesan, President of Premier. Used to walk 4 km to study. Studied up to SSLC only, but had wish to study up to B.com, due to financial inability he was unable to study. 1966 he worked in Madurai utilities store as sales man. 1967 to Chennai, 5 years in Chennai in same concern for salary Rs 105. He Had only 64.50 Rs in hand when he quit his job in 1972. Came out to do a business for at least for a monthly income of 200 rs. For Rs 64.50 he got 5 letter head, 5 order book printed. Based on the links he got from last job he wrote in the letter pad manually asking for agency in commission basis to dealers in Mumbai. 2 years gone by working as sales rep and commission basis business. While he was visiting Mumbai Suppliers for some accounting purpose he was wondered to see the manufacturing plant located in the third floor of a building for the area of just 600 sr.ft and supplying upto Chennai. That spark made him to think why he can’t do the same. By that he produced a new product called Cake Owen by job work basis from other industries. He packed the same with to-do manual and did demo by directly visiting the households. Followed by producing Milk cooker & idly cooker. Up to 1976 he was getting as job work basis. Then he started his own plant with an area of 700 sq.ft. 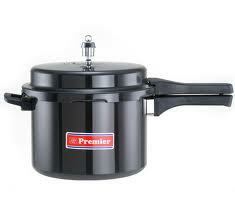 The company is one among the two company in India which manufactures Electric cookers. He was the first one to introduce Chutney jar in India based on the foreigh countries coffee jar which is small. Now He was the Market Leader in kitchen Appliances and and exports to all over the world to make India and Tamil Nadu Proud of Him. I also Hasppy to write about the Legend based on the Interview given him in Vijay TV. 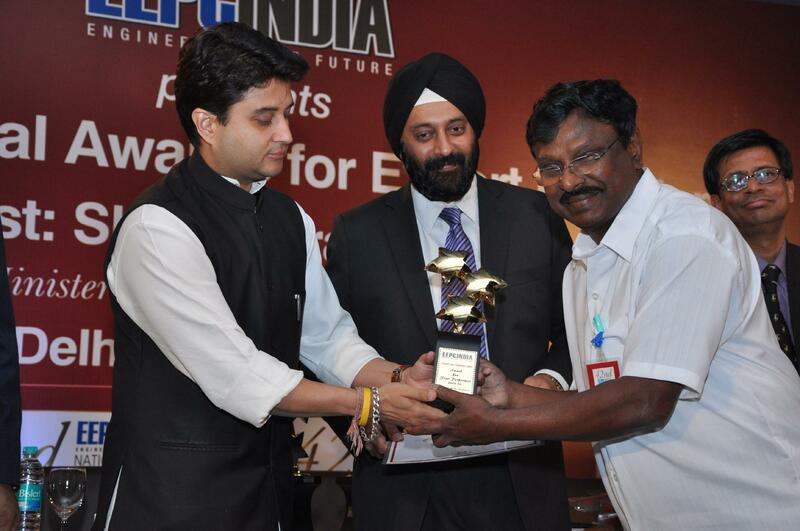 He was the one to receive the best exporter Award for Consecutive Three Years.